(AP) - Managers heading up a new daily online news Web site say more than 20 veteran Twin Cities journalists, including two Pulitzer Prize winners, have committed to make regular contributions to MinnPost.com. 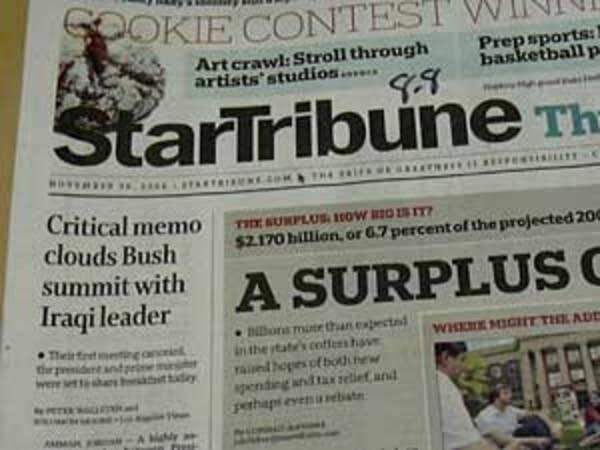 Many of the journalists took buyouts during recent cutbacks at the Star Tribune and the St. Paul Pioneer Press. The not-for-profit enterprise is to begin operation later this year, specializing in Minnesota news and insight articles. Chief executive and editor Joel Kramer, former publisher for the Star Tribune, says he has raised more than $1 million in startup funds. He said four local families have contributed a combined $850,000, and the Miami-based John S. and James L. Knight Foundation has pledged $250,000. MinnPost.com will offer front-page news stories as well as "posts," a format in which professional journalists engage in an informal conversation with readers about what they're learning and what to make of it. Posts will be built around original reporting.